As an industrial engineer with more than 14 years experience in the mining, railroad, and foundry industries Blake has a track record of driving growth and reducing cost through continuous improvement. Prior to taking his current leadership position at Temperform LLC, Blake served as Production Manager, Manganese Castings for voestalpine Nortrak in Decatur IL where his teams were responsible for a 4x increase in casting production and millions of dollars in annual cost savings. 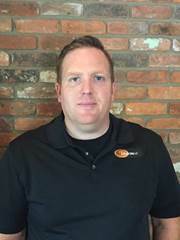 Blake spent the first half of his career with Brunner & Lay Inc in both Franklin Park Illinois and Springdale Arkansas where he served as Field Engineer and offered technical support to the sales team while developing new products and honing his problem-solving and leadership skills. Current and past professional memberships include the American Foundry Society and the Steel Founder’s Society. Volunteering/Service: Blake and his wife hold leadership positions in the Cub Scouts and Scouts BSA programs where his three children are actively involved. Education: MBA, Millikin University’s Tabor School of Business; BS in Industrial Management and Applied Engineering, Southern Illinois University.